Emin Hasanov won silver in 68kg weight category on the first day of the championship held on the eve of the 80th anniversary of sambo. The world championship in sports and combat sambo among men and women has started in Bucharest on November 9. Competitions are held at the Sala Polivalenta Sports Palace. 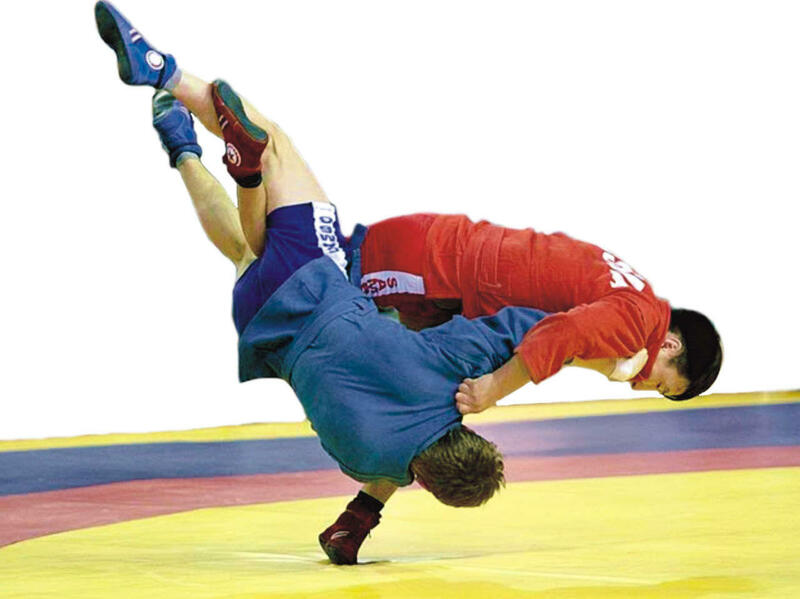 About 750 sambo wrestlers from 80 countries take part in the competition. Azerbaijan is represented by 7 sambo wrestlers. The delegation includes President of the Azerbaijan Sambo Federation Jeyhun Mammadov, vice-president of the Azerbaijan Sambo Federation Javid Sabzaliyev and head of Baku City Youth and Sports Headquarters Ragif Abbasov. The World Championships also provide a license to the second European Games. Within three days, 27 sets of awards will be drawn into three disciplines: men's sambo, women's sambo, combat sambo. In addition to the cherished medals, the winners and runners-up will also share the prize fund, which was established by the International Sambo Federation. Distribution of prize money depending on the places occupied by athletes comes as following: 1st place - $ 3,000; 2nd place - $ 2,000; 3rd place - $ 1,500. World Cup 2018 Sambo in Bucharest was completed on November 11. World Sambo Championships - an international sambo competition, held under the auspices of the International Sambo Federation (FIAS). The first championship was held in 1973 in Tehran, Iran. Since 1981, the tournament has been held annually. Since 1983, the World Women's Sambo Championships have been held. Since 2007, the championship program includes competitions in combat sambo among men. Wrestling remains the most popular sport in the county and is overseen by the Azerbaijani National Wrestling Federation, which was established in 1993. The Rio Games opened a new page in wrestling for Azerbaijan. The country became one of only two nations ever to increase the number of medals achieved in five consecutive Games.